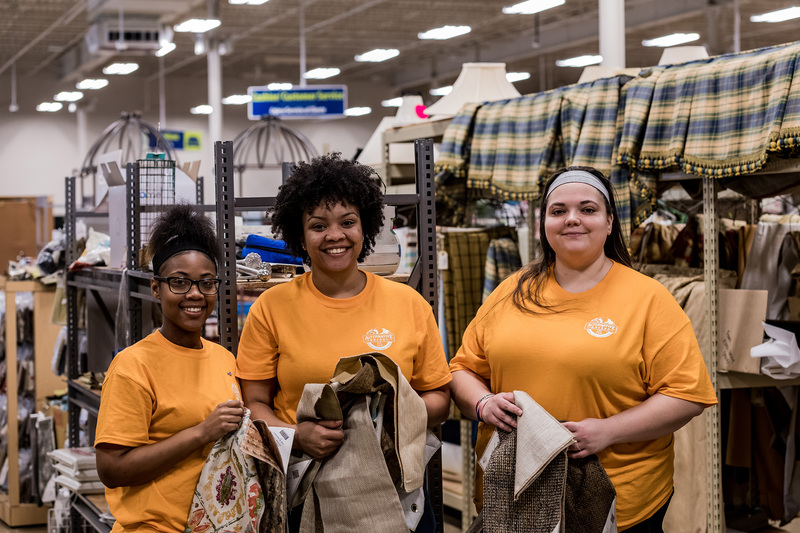 When you volunteer at the ReStore, your generous commitment of time helps fund homes for hard-working families and positively impacts the environment through the ReStore's reuse policy. General Volunteer: Assist customers, stock shelves and help display merchandise. Volunteer opportunities are available Monday through Saturday, from 9 a.m. until 5:30 p.m.
Deconstruct Volunteer: The Deconstruct team travels in and around Nashville to remove kitchens, bathrooms, windows, doors, and more to be sold at the ReStore to support affordable homeownership. Volunteer shifts are usually weekday mornings from 8 a.m. - 12 p.m. and do require lifting and exposure to weather outside. Donation Scheduler: Scheduler volunteers answer the ReStore donation hotline, return messages left by potential donors, and help schedule donation pick-up times through the use of a state of the art scheduling platform. Volunteers would ideally be able to work 8 to 12 hours per week. If you are interested in learning more about any position or have any questions, please email Amanda Jones, ReStore volunteer and social media coordinator, at ajones@habitatnashville.org. On the date that you volunteer, you will need to complete this Volunteer Release Form to bring in with you. Completed forms may also be emailed to Amanda Jones prior to your volunteer date.